But last week, my friend Shawn was in town visiting for a few days. Matt, Rick and I wanted to do some kind of “boys activity” with the four of us, and so we settled on a trip to the driving range prior to dinner at a local bar. On further examination (and once we verified that I had not inadvertently soiled Rick’s upholstery), we discovered a break in the net. Not huge – just a few feet across – but a break nonetheless. 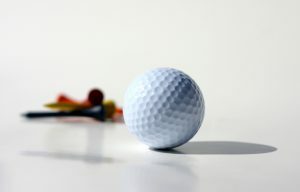 That ball (hereafter known as “The Magic Golf Ball”) had travelled 150 yards, passed through a two-foot diameter hole and struck a moving vehicle. Instead, relationship marketing is like having 1,000 golfers working on your behalf. It’s a numbers game and the more numbers working in your favor, the more likely it is that somebody, somewhere, is going to send a prospect your way. What matters, therefore, is keeping in touch with enough people – regularly and repeatedly – and in a way that helps them understand the work you do. … keeping all your contacts in one place. If you don’t know who you know, how do you know if you’re keeping in touch? I like Contactually (affiliate link), but there are plenty of options out there. … simplifying your explanation of what you do. Elevator statements can be impressive, but nobody but you will ever remember yours. If you want referrals, the world at large needs to have a brief, simple label they can slap on you. … working at it every day. Relationship-building is like exercise: It’s easy (and even fun) if you do it all the time. Long periods of inactivity, however, limit your results and cause a lot of pain. Have you ever soiled a car seat? Explain. What’s your favorite tactic for staying in touch with your relationships? 1. not since i was 7 months pregnant and I asked my OBGYN if it was safe. He said NO, (I guess your center of gravity is off, and you can really mess up our back….well, not you Michael, but you know what I mean) and then he followed it up with “Plus you look really silly out there…” Ha–I think he was just one of those “slow player-hater” types. I live on a golf course now, and I have not played since the echo of his insult still ring/sting/sing in my head. 2. Not once, but have had numerous dogs and children thrown up in my car, does that count? 3. Bella Faccia is my name and Contactually is my game. I am know as the Face painting Lady and that is just fine with me…..News on networking: simple emails with an article share after meeting people for the first time, get nearly 100% response. 1. I’ve noticed how golf is one of those sports where you can’t assess talent by looking at someone. Does not seem to correlate with any particular size or body type! 2. I was hoping you were going to say you gave birth in a car after your #1, but yes, vomit definitely counts. 3. “The Face Painting Lady” is exactly the kind of thing you’re looking for! You have confirmed that the fear flitting through my consciousness each time I drive past a golf course (which I do daily) is, indeed, justified. And there is no net. Just trees. I agree! I’m kind of surprised it doesn’t happen more often on those close to the road courses! Keep your head down and have a great weekend. I stopped playing golf years ago, and have never soiled a car seat. However my favorite tactic for staying in touch is regular/daily use of LinkedIn and Facebook, PLUS – I regularly invite my contacts for a coffee-break, just like you explained in a video a couple years ago. Works brilliantly. And, I still go to seminars and other types of (network)meetings. Sounds like it’s working well, Edgar! I love how you take your daily experiences and turn them into a marketing message. This one today is great – hilarious, but also makes a very clear point. Thanks!